A common marine crustacean has shown researchers that it's all set to beat climate change – the males will get more attractive to the females, with a resulting population explosion. The University of Adelaide study is the first to show how mating behaviour could change under the warmer waters and more acidic oceans brought by climate change. 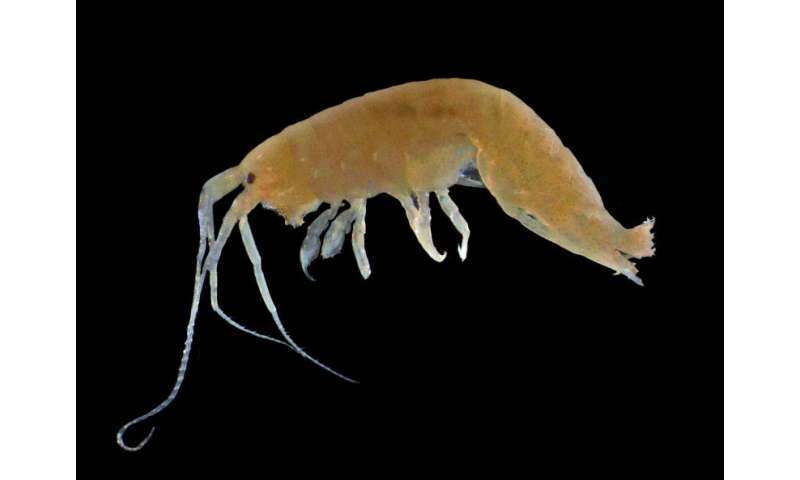 PhD student Katherine Heldt and University of Adelaide ecologist and evolutionary biologist Dr Pablo Munguia studied the herbivorous amphipod, Cymadusa pemptos, in large tanks under the elevated temperature and CO2 predicted for 100 years from now. This work was in collaboration with Professor Sean Connell, Dr Bayden Russell and PhD student Kathryn Anderson. The amphipod family includes the land-based beach-hopper or sand flea commonly seen hopping around on beaches. In Cymadusa pemptos, like other marine amphipods, males have larger claws than females, which are used as a display to attract females or a weapon to fend off other males. Published in the journal Scientific Reports, the study found the population increased twenty-fold under predicted warmer waters and high CO2. "Climate change most usually comes with predictions of severe negative impacts on population sizes, if not extinctions," says Dr Munguia, in the University's Environment Institute. "In general, booming populations are not predicted. "It got even more interesting, however, when we dug deeper and found that males were much larger in size than in previous generations under cooler waters and lower CO2, and their bigger claws were disproportionately larger still. Females stayed the same size. "On top of that, where there had been variation in large claw size throughout the population, suddenly all the males had large claws. This happened within a few generations. "It seems that sexual selection for this attractiveness trait could mean that every male was equally attractive to the females, resulting in very large numbers of females – almost 80% – becoming pregnant, causing a massive population explosion." 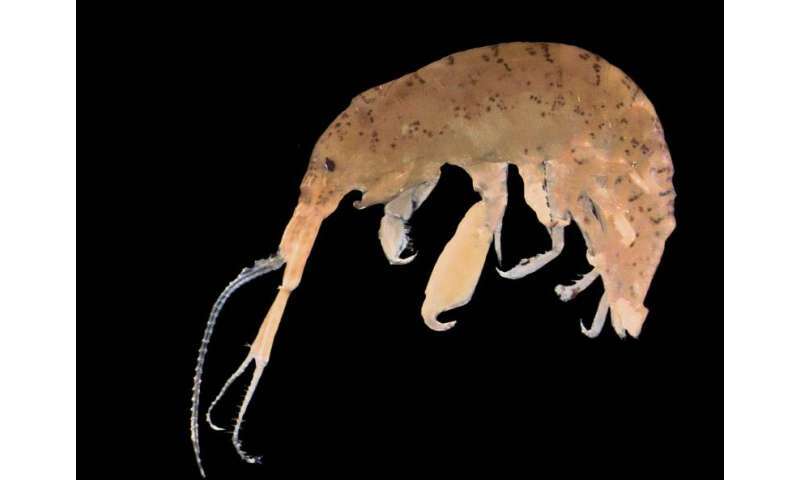 Because the future climate change conditions also promoted increased growth of the marine algae which amphipods eat, constraints on competition for food were removed, allowing males to support their energy-demanding bigger claws and enabling the population to grow. "We know that climate change will be cataclysmic for many species but in some cases it will not," says Dr Munguia. "This is the first quantitative example of how it will be beneficial for some individual species, albeit with massive consequences to the environment overall. "We've also shown how mating systems may potentially change. If all males are equals in claw size, then perhaps claws will no longer become a key trait. Our research shows how we can start remapping ideas on how mating systems may become modified under future climate." Science's contributions of; germ warfare & fracking & GMO's are as real as the planet isn't flat but climate science has never said the same for their "could be" crisis of a planet flattening climate change hell. Will they say it before it's too late to say it? *Are they also only 99% sure smoking causes cancer? *Who's the redneck fear monger in the coming history books?